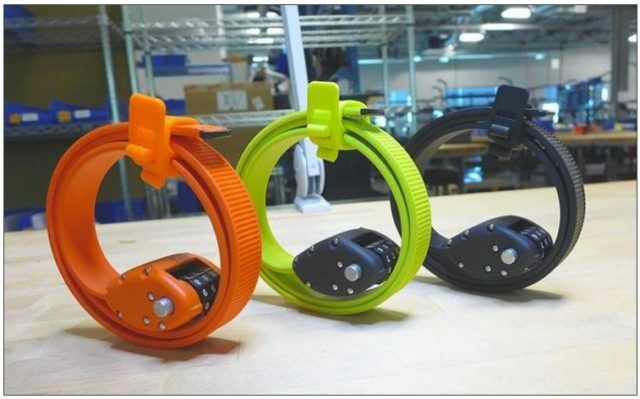 After a successful Go Fund Me campaign, Otto Locks are now available for purchase. 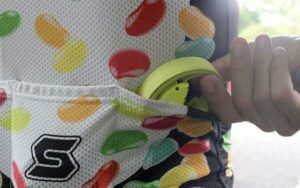 Many/most road bikers don’t carry locks due to weight. Why spend big bucks on a <20 lb. bike and carry a 2-5 lb. lock? What do we do when nature calls or we need a Wawa stop for water or Gatorade. An Otto Lock might be the answer. Otto locks come in three sizes (18”, 30” and 60”) and weigh 120g to 235g (4.2oz to 8.3oz). They coil to 3” so they fit around your saddlebag or in a jersey pocket. They feature 3 stainless steel layers and 4 Kevlar layers. According to the website, they are stronger and certainly lighter and more transportable than cable locks. These locks are not for long term security but for a 2-3 minute rest room visit or bottle refill, they may provide some peace of mind. OTTOLOCK is designed for short-stay security and protecting against theft opportunists. 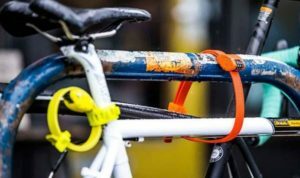 It’s more secure than a cable lock, and much lighter than a U-lock. I have not used one but will likely purchase one in the near future. I encourage you to visit the Otto Lock site at www.ottodesignworks.com for further information. There are also quite a few reviews on You Tube and Amazon that are instructive so you can judge for yourself.